Erin’s Own Gaelic4Mothers travelled to Kinnegad, Co. Westmeath on Saturday last for the annual Leinster Football Blitz. We had two teams entered on the day with both playing 5 matches. Overall the ladies did themselves, their club and coaches, Andy Korff, Majella Deevy and Keith Normoyle proud. The ladies once again brought the “Joan Daly Cup” home to Comer. A special thanks to Louise and Deirdre for all their help on the day. Thanks to James Farrell, Railway Garage and Willie Forde, Eurospar for their continued sponsorship. The day finished with a lovely meal in Tullamore followed by a nightcap in Bollards. The Ladies who participated were Josephine Holland, Georgina Smyth, Liz O’Sullivan, Paula Heeney, Olga Kerr, Louise Walsh, Catriona Brennan, Catherine Farnan, Ali Kealy, Majella Finn, Aileen Coughlan, Claire O’Neill, Catriona Normoyle, Katie Murphy, Sarah Murphy, Mary Buggy, Mary Coogan, Marie Brennan, Deirdre Owens, Brenda Murtagh, Mary Rowe, Maria Holland, Colette Comerford, Leona Comerford, Margaret Dillon, Denise Donoher. Coaches Majella Deevy and Andrew Korff. Training continues in two groups catering for both new and experienced participants on Mondays in Ballycomey at 7.30pm. New players always welcome. Erin’s Own joined 15 other teams on Saturday afternoon in an excellently run Dicksboro U8 tournament. All the lads played at least one half of each match and all contributed to a good run of results. We finished second in our group beating Danesfort in our first game, then coming from 3 goals down to earn a draw with Dicksboro in game two, before losing to a strong Dunamaggin team. Ashley Kerr and Tommy Coogan scored a couple of goals each in these games which saw some great defending by Dylan Stynes Leigh and Adam Stone. In our final game we beat Thomastown 3 goals to 2 thanks to a couple of 65’s from Liam Doyle and a Luca Downey score from play. Team captain James Hogan accepted medals on behalf of the panel James Kenny, Tommy Coogan, Brian Holland, Ciaran Meagher, Adam Stone, Liam Doyle, Luca Downey, Jack Brennan, Michael Rowe, Dylan Stynes Leigh, David Allen, Kiel Smyth, Alan Smyth, Ewan Connery, Cathal O’Reilly, Ashley Kerr, and John Kenny. The U11 and 12s also saw action during the past week. The U12s played neighbours St Martins in the Callan tournament on Thursday, running out comfortable winners 6-5 to 0-0. Panel: Richard Brennan, Alan Mullaly, Sean Coogan, Joe Hickson, Adam Brennan, Dan Coogan, Ross Connolly, Thomas Dwyer, David Ferris, John Dowd, Conor Normoyle, Kevin Brennan, Eoin O’Rourke, Liam Kenny, Jack Buggy, Declan Buggy, Christopher Korff, Nicky Connolly, Billy O’Neill, Conor Clarke, Cathal Holland, Liam Holland, James Buggy. The U11s were in Ballyragget on Saturday for the Benny Stone tournament and faced St Lachtains, O’Loughlins and Clara. The boys won all three games, the first two by 5 points, with the final game vs Clara a two point win. Panel: Declan Buggy, Dan Coogan, David Ferris, Kevin Brennan, Jack Buggy, Christopher Korff, Nicky Connolly, Billy O’Neill, Conor Clarke, Cathal Holland, Liam Holland, James Buggy, Leah Holden, Conor McMahon, Jamie Maher, Killian Hogan. At senior level the club enjoyed mixed fortunes, The seniors had a 4-09 to 0-16 win against Mooncoin on Thursday, while the juniors were defeated by Galmoy in the League on Friday. Congratulations to Marie Murphy Skehana, on winning â¬200 in the Piltown draw. Erin’s Own competed in the ‘A’ section of this well run tournament this year and it proved to be a good decision. They went on and won each of their 3 matches against Freshford, O’Loughlins and finally Clara. It was a very good team performance by all throughout the day. Conor McMahon, captain for the day, collected the trophy on behalf of the team. The Under 8 team are participating in the Dicksboro tournament this Saturday. They go into this one as defending champions. This takes place in Palmerstown on Saturday afternoon. The Under 11 team have their first tournament outing this weekend when they participate in the Benny Stone tournament in Ballyragget. Their first match is at 2.30pm. The Under 10 team have 2 matches next week. On Tuesday they entertain Clara in the Erin’s Own tournament and on Friday in the same tournament, again in Ballycomey, they play The Village. Results recently saw the Under 12 team comfortable beat local neighbours St Martins in the Callan tournament. They won 6-5 to 0-0. It was a strong all round team performance and all 24 players got game time. The club had a large representation on the U-21 panel that were narrowly defeated by Wexford in Wexford Park on Tuesday, with Aidan Moran, Gerry Callinan and Conor Fogarty all starting and Eoghan Meally was sub goalie. Davy Buggy was part of the management team. At senior level, Conor Fogarty was part of the winning panel, that advanced to the Leinster final, defeating Wexford on Saturday in Wexford Park. Martin Fogarty is a selector. Nowlan Park hosted the final round of the U-10 Go Games blitz on Saturday morning, with Clara providing the opposition. The teams played two mini sides games,which were highly contested. Well done to all on your efforts over the past month. Panel: Conor Dowd,Timmy Ward,Killian Hogan,Darragh O’Rourke,Jamie Meagher,Nicky Connolly,Kealan Ring,Kevin Holland, James Hogan, Liam Doyle, Luca Downey, Shane Coogan, Cathal O’Reilly,Jack Buggy,Conor Clarke,Dan Coogan,Christopher Korff,Billy O Neill, Dean Bray. The U-12s played Clara in Ballycomey recently, A panel of 27 players turned out on the day with everyone of them contributing to what was a very competive game, which they won. Panel: Richard Brennan, Alan Mullaly, Sean Coogan, Joe Hickson, Adam Brennan, James Brennan, Dan Coogan, Ross Connolly, Thomas Dwyer, David Ferris, John Dowd, Conor Normoyle, Kevin Brennan, Eoin O’Rourke, Liam Kenny, Conor McMahon, Jack Buggy, Declan Buggy, Michael Coogan, Christopher Korff, Nicky Connolly, Billy O’Neill, Conor Clarke, Jack Dowling, Cathal Holland, Liam Holland, James Buggy. Our seniors opened their Byrne cup campaign with a win over Graignamanagh. The locals fielded a young side that responded to the opportunity with many impressive performances throughout the field. Welcome to the May/June edition of the GAA Club Nuachtlitir. May saw the staging of the 2011 National Inclusion Forum in Croke Park with a large audience looking at ways to encourage inclusion and integration through Gaelic games and to build on the good work that is already taking place. Further topics covered in the Newsletter of interest to Clubs include information on transfers and sanctions, VHI GAA CÃºl Camps, helmet safety and rules updates. 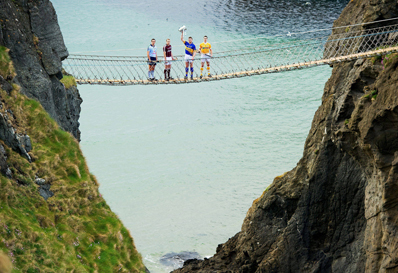 Our provincial councils are offering special group passes for the provincial championships and the same excellent value packages that have been available for the last two summers will once again be on offer when the All-Ireland series commences.Â Members are reminded that tickets for inter-county GAA Championship matches can be purchased atÂ gaa.ie/tickets. We thank Clubs for distributing the newsletter to their members and would encourage them to continue to do so. Should you have any feedback on any aspect of what we are trying to do, please feel free to contact our Communications Department throughÂ queries@gaa.ie. The various Provincial Councils are offering group pass offers for their 2011 championship games and patrons are advised to contact them directly for further information on these offers. Contact details for Provincial councils can be found by clickingÂ here. The GAA will make public its ticket arrangements for central council matches in the coming weeks. 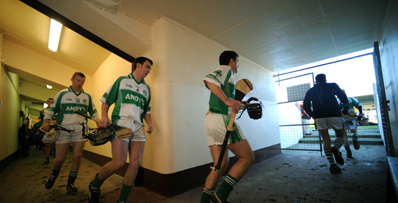 CamÃ¡n AbÃº and Peil AbÃº are the names of the Social and Recreational Hurling and Football games which were launched at this yearâs Congress in Mullingar. They were devised by the National Research Committee on foot of extensive trials which took place in Portumna (Hurling), and Sligo (Football) and at the Waterford I.T Sports Campus (Hurling and Football). There has been a very positive response from participants who have derived a great sense of achievement, fun and enjoyment from their involvement. 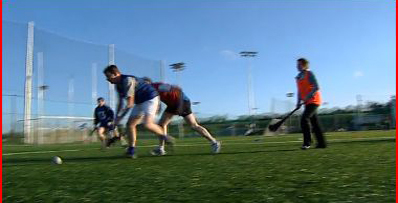 CamÃ¡n AbÃº is effectively a non-contact ground Hurling game which is played with a modified hurling sliotar. The big difference between Peil AbÃº and Gaelic Football is that players wear tags and a player who is tagged (caught in possession) has to hand over possession of the ball to the opposition. New footballs â a different one for indoors and outdoors â have been developed for the game. Teams can be made up of male and female players on the basis that each team has an equal number of female players on the field at the same time. Players, apart from where CamÃ¡n AbÃº and Peil AbÃº are organised within a Post-Primary School should be over 16 years of age and participate at their own risk. The Association is currently in the process of establishing CamÃ¡n AbÃº and Peil AbÃº centres on the basis that activities are supervised by a trained volunteer coordinator. If a Club, College or Company is interested in getting involved, the proposed co-ordinator should contact Lorena Kelly, Games Development Section, Croke Park orÂ lorena.kelly@gaa.ie. Please be aware that the final date for application for 2011 GAA membership cards is Monday June 6. Any Club that has not applied for membership cards and wishes to do so, can log on to the online registration system,Â people.gaa.ie/admin, click on ‘club admin’ on the left hand menu, then click on ‘membership cards’ on the top menu and indicate that the club wishes to receive the cards. As of today, cards have been printed and posted for Clubs from a total of 26 counties. The status of the printing and posting of cards for each county is outlined below. If you have any queries, please contact Kieran Leddy, GAA Organisation and Development Manager atÂ kieran.leddy@gaa.ie. Please note that only Clubs that apply for the cards will receive them. Printed and posted – Cork, Dublin, Kildare, Kerry, Galway, Armagh, Tyrone, Tipperary, Derry, Donegal, Down, Antrim, Carlow, Cavan, Clare, Kilkenny, Laois, Leitrim, Meath, Limerick, Westmeath. Printed and posted yesterday â Wicklow, Longford, Wexford, Fermanagh, Offaly. Being printed and posted on June 1 â Mayo, Roscommon, Sligo, Louth, Monaghan, Waterford. The GAA National Inclusion Forum took place on May 25 last in Croke Park. The GAA and its sister Associations are conscious of the fact that many people from minority groups or non-traditional GAA communities will have little or no knowledge or have had minimal contact with Gaelic games. The GAA is therefore very keen to make all people feel welcome to participate in our activities and play and support our games. With this in mind, the GAA hosted a âgame changing conversationâ about sport and inclusion in Ireland at the âGAA National Inclusion Forumâ which looked at encouraging inclusion and integration through Gaelic games and to build on the good work that is already taking place. The Forum, which also marked and celebrated African Liberation Day, the UN’s International Year of Youth and the EU Year of Volunteering, is the GAAâs second such forum, with the first being held in 2007. Following on from the launch of the GAA Inclusion and Integration Strategy in 2009, it was felt that all three Gaelic bodies should meet with key stakeholders in the inclusion industry again this year, to showcase best practice. If you would like further information, please contact Tony Watene (National Inclusion Officer) by email onÂ inclusion@gaa.ie. 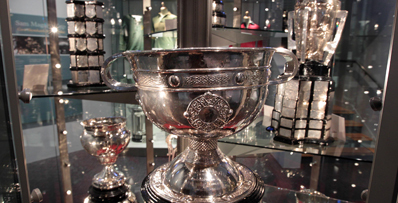 Why not visit the GAA Museum and take a tour of Croke Park for your next club outing? 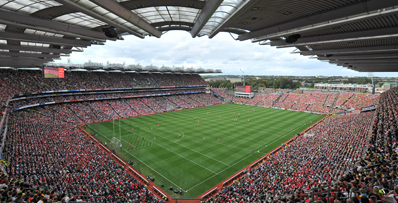 A typical visit to Croke Park takes two hours and includes an exciting behind-the-scenes guided tour of the stadium, a short film, a chance to explore the GAA Museum’s exhibits and a visit to the Museumâs interactive games area. To make a booking, call 01-8192374 or emailtours@crokepark.ie. We welcome group bookings for a minimum of 20 people. Clubs can avail of the museum auditorium or the Ard Chomhairle section to present medals to juvenile players at no extra cost! Catering is also available by advance booking, or your group can bring lunch and enjoy it in one of our eating areas before or after their tour. Special Offer for GAA Clubs – Weâre offering a special discounted rate for all GAA clubs who wish to visit the GAA Museum from May 2011 until September 2011. Clubs will receive a special rate of â¬6 per child and just â¬8 per adult for group bookings of 20 people or more. Please note that we also offer one adult/supervisor free admission for every ten children in the group. As part of the GAA Museum exhibition area, a touch screen Clubs database allows museum visitors to access information on every affiliated GAA Club. To keep this information up-to-date, every Club secretary should have received a log-in and password which allows Clubs to upload photographs and information on history, players, titles won, fundraising, blitzes, new buildings etc. To ensure that your Club is represented on this database please login with your unique login and password and update your club information. For queries on the database, please contact us directly atÂ gaamuseum@crokepark.ie or 01-8192323. All information in relation to Club transfers Inter-Provincially and overseas can be found on the GAA website athttp://www.gaa.ie/clubzone/transfers-and-sanctions/transfers-archive/. This section of the site provides up to date information on when and what player transfers have been processed. In addition, a document in this section is also available detailing frequently asked questions relating to transfers and sanctions which may be of use to Club members. Now in its sixth year, the Vhi GAA CÃºl Camps is a nationally co-ordinated programme which aims to encourage primary school children between the ages of 6 and 13, to develop sporting skills irrespective of their skill level or ability and also to develop a sense of sporting fair play and personal achievement by participating in various Gaelic games, in a fun, non competitive environment. 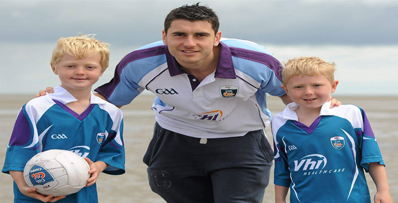 With over 1,000 camps taking place in Ireland and overseas, and over 80,000 children aged 6 â 13 years participating, the Vhi GAA CÃºl Camps are the most popular childrenâs sporting camps in the country. For information on how to book a camp, please visitwww.vhiculcamps.gaa.ie. The website also contains contact details for county co-coordinators, venue information and when camps will take place. A reminder to all Clubs that scrap metal collection and the use of inflatableâs including bouncy castles are not permitted on GAA property. Fundraising activities (i.e. 5km fun runs etc) by Clubs which take place on public highways must also be notified in advance to the GAA Insurance Manager. Otherwise no cover will be afforded by the Public Liability Insurance. Any third party bodies using GAA property in particular on a commercial basis must produce evidence of Public and Employers Liability insurance to the Club with a specific indemnity to the Club noted on their policy. All units should also have a Health and Safety statement in place. Sample Safety statements and assistance in drafting one is available from the GAA Insurance Manager. All units are reminded that the scheme is funded entirely by GAA funds with no insurance involvement. The scheme is not intended to compensate fully for injury but to supplement other schemes such as Personal accident or Health Insurance. The scheme only covers unrecoverable losses up to the limit specified in the scheme. Where a person has in place personal accident or private health insurance cover, a claim must be made under this coverage first. The scheme will cover any shortfall in these coverageâs up to the limits of the scheme. Private health insurance / personal accident cover do not operate a no claims bonus in the same way as for example car insurance. A claim under these coverageâs will not result in an increase in renewal premium. Any units who have not yet submitted payment for the 2011 Player Injury Scheme are requested to do so urgently as subscriptions were due on March 31 last. Where fees remain outstanding claims will not be processed. In all instances above, further queries can be directed to the GAA Insurance Manager, SinÃ©ad Quinn atÂ sinead.quinn@gaa.ie. 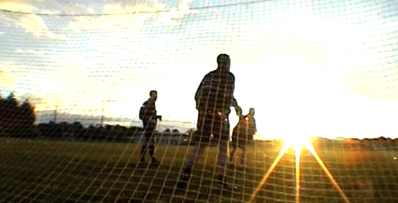 The Gaelic Athletic Association has a policy of limiting the use of its grounds, facilities and properties to games and activities organised by the Association only.Â The GAA last reviewed its policy position on the matter in 1993 as part of the Report of the FÃ³-Choiste to prepare policy statements for the Association. In 2005 Annual Congress took the decision to allow use of Croke Park on a temporary basis by the Irish National Rugby team and the Republic of Ireland soccer team while Lansdowne Road was under redevelopment. In 2010, Annual Congress voted to allow Central Council to consider applications for Use of Croke Park only, by other sports, on a case by case basis. In the light of these significant changes, the restatement of the policy by Ard Chomhairle in August 2010 and a change in the penalty for breach of Rule 5.1 T.O. 2010 at Congress 2011, it is an appropriate time to re-affirm to clubs and update the GAAâs policy position on use of its property. For detailed information on this matter, please visitÂ http://www.gaa.ie/clubzone/club-info/rules-update/ or clickÂ here. In Croke Park on June 17, UachtarÃ¡n Chumann LÃºthchleas Gael CriostÃ³ir Ã Cuana will join the TanÃ¡iste and Minister for Foreign Affairs & Trade, Eamon Gilmore T.D. at an event to help Irish companies access the new and growing markets in the dynamic Asian Region. 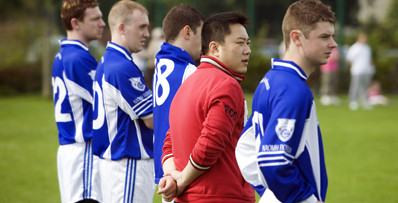 The event, which has been inspired by the annual Asian Gaelic Games, now the largest gathering of the Irish community in Asia-Pacific and the Gulf regions, is being hosted by the GAA to help members and Irish companies access the growing Asian markets for the key opportunity sectors of Technology, Financial Services and Green Funds, Pharma & Life Sciences, Education Services, Food and Tourism. We would ask that you bring this to the attention of GAA members who may have an interest in learning more about doing business in this area.Â Places are limited so book now atÂ www.apibf.com to avail of the special rates for GAA members to attend the Asia Pacific Ireland Business Forum. 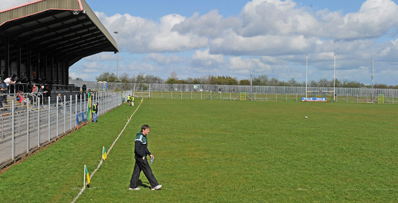 Clare club St Josephâs Doora Barefield is a thriving modern GAA Club with a burgeoning membership. Their exciting new facility at Gurteen is a source of great pride with Club members and is in many ways a template for other clubs to aspire to follow. With three playing pitches, state of the art floodlighting for both grass and all-weather surfaces, the goal of catering for the ever increasing population of the parish over the coming years is quickly coming to fruition. The development process began as far back as 2000, when after purchasing the then scrub and rock site at Gurteen; the Club launched a major fundraising drive in the parish with a very ambitious plan for the site. It proved to be a huge success and raised well in excess of â¬500,000 thanks to the support of members and the wider community. The proceeds of the sale of the old playing grounds have also gone into the development of this fantastic facility. To date, more than â¬1.8 million has been spent and the finished facilities will serve as a testament to the immense effort, freely given, by so many volunteers in addition to meeting the playing and coaching needs of the Doora Barefield parish for many generations to come. The official opening is due to take place in two weeks time with official duties to be overseen by Ard StiÃºrthÃ³ir Chumann LÃºthchleas Gael PÃ¡raic Ã Dufaigh in the company of MicheÃ¡l Ã Muircheartaigh. 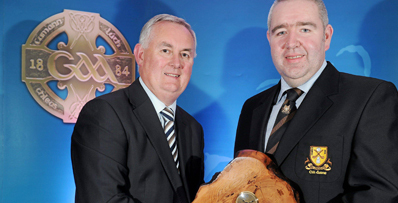 Image Caption: 24 July 2010; UachtarÃ¡n CLG CriostÃ³ir Ã Cuana presents John C O’Shea, from Dr. Crokes Gaa Club, Co. Kerry, with his 2009 GAA McNamee Best Technology Innovation Award. Submissions are now being accepted for the 2011 GAA McNamee Awards which honour excellence in the area of communications, publication relations and journalism specifically related to the activities of the Association. A number of the nine categories are directly related or open to submissions from clubs and they include Best GAA Publication, Best GAA Website and Best Modern Technology/Innovation Award. The remaining categories which primarily focus on the work of the media are: Best GAA Radio Programme, Provincial Media Award, National Media Award, Irish Language Award / Gradaim na Gaeilge, Best Photograph and Best Match Progamme Award. There is a limit of three photographs per entrant for the photographic award and one entry for all other categories. It should be noted that only work published or completed in the 2010 calendar year is eligible for consideration and that entries will not be returned. Submissions must be submitted to GAA Communications Manager Alan Milton (alan.milton@gaa.ie), Croke Park, Dublin 3 on or before June 20. 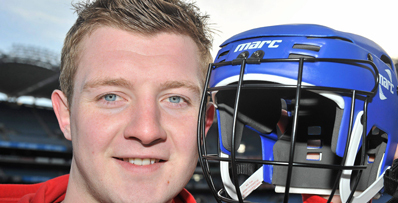 A review of the IS355 certification in relation to the attachment system for Hurling/Camogie faceguards has led The National Standards Authority of Ireland on behalf of the European Committee for Standardisation to develop a short survey on how secure players find helmets they wear. A link to this survey can be found athttp://www.surveymonkey.com/s/KKMGX72. We would encourage as many players as possible (Hurling and Camogie) to complete this survey as the information will benefit all during the development of a European standard. We would ask that you forward this email to as many players as possible as a means of generating feedback to further develop improvements in helmet safety.